Today’s teens are a force to be reckoned with. Businesses focused on Millennials … beware! Their successors are right around the corner-promising bigger challenges, but much greater opportunities. Drawn from original quantitative research and interviews, Marketing to Gen Z paints a fascinating portrait of the newest buyers now entering the scene. Having internalized the lessons of the Great Recession, this pivotal generation blends the pragmatism and work ethic of older generations with the high ideals and digital prowess of youth. For brands, reaching this mobile-first and socially conscious cohort requires real change, not just tweaks to the Millennial plan. Marketing to Gen Z offers dozens of examples and insights for connecting and conversing, including how to: Get past the 8-second filter * Avoid blatant advertising and tap influencer marketing * Reflect their values * Understand their language and off-beat humor * Adapt content and social media strategies * Offer the shopping experiences they expect * And more By 2020, Generation Z is expected to comprise 40 percent of all consumers. The time to learn who they are and what they want is NOW. While everyone was bemoaning their laziness and self-absorption, the Millennial generation quietly grew up—and they’re nothing like the clichés we used to describe them. As pragmatic, diverse and digital natives, this massive cohort of 80 million are entering their prime consumer years, having children of their own and shifting priorities as they move solidly into adulthood. Through a goldmine of interviews, digestible segments brought to life and examples of brand successes and failures, this book helps marketers rethink the typical American household—and connect with these critical consumers in the complex participation economy. Jeff Fromm (Kansas City, MO) is President of FutureCast, a marketing consultancy specializing in millennial data analytics, trends and insights, and co-author of Marketing to Millennials. Marissa Vidler (Kansas City, MO) is Founder and Lead Research Strategist at Clear Box Insights. 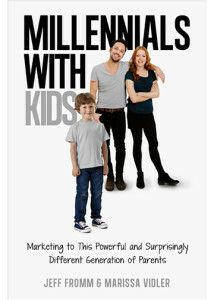 – Rebecca Zogbi, Vice President, Global Consumer & Business Insights Dunkin’ Brands Inc.
Millennials with Kids should be required reading for marketers and executives looking to understand this young, influential segment. It busts many myths and provides rich frameworks and case studies that show what is and isn’t effective with this demographic. The numbers cannot be ignored: 80 million Millennials wielding $200 billion in buying power are entering their peak earning and spending years. Companies that think winning their business is a simple matter of creating a Twitter account and applying outdated notions of “cool” to their advertising are due for a rude awakening. “Marketing to Millennials” is both an enlightening look at this generation of consumers and a practical plan for earning their trust and loyalty. 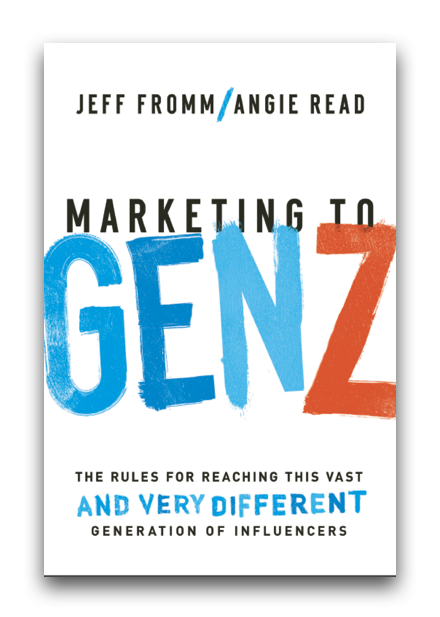 Based on original market research, the book reveals the eight attitudes shared by most Millennials, as well as the new rules for engaging them successfully. Millenials: value social networking and aren’t shy about sharing opinions; refuse to remain passive consumers – they expect to participate in product development and marketing; demand authenticity and transparency; are highly influential – swaying parents and peers; are not all alike-understanding key segments is invaluable. 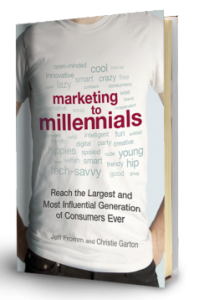 Featuring expert interviews and profiles of brands doing Millennial marketing right, this eye-opening book is the key to persuading the customers who will determine the bottom line for decades to come. Jeff Fromm (Kansas City, MO) is President of FutureCast, a marketing consultancy specializing in millennial data analytics, trends and insights. Christie Garton (Kansas City, MO) is Founder of U Chic Media Company and the author of bestselling college guidebooks for women. – Ken C. Hicks, Chairman and CEO of Foot Locker, Inc.